Understand the message behind your dreams from a psychic's perspective and achieve clarity on the symbolic impulses that come to your awareness. Each night as we sink blissfully into a deep sleep, our unconscious self takes us on an incredible journey into the land of dreams. Whether or not you are aware of it, you dream and in those dreams everything you need to know about every aspect of your life is revealed to you. 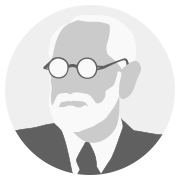 Sigmund Freud believed that dreams were a direct connection to the unconscious mind. He believed that the conscious mind acts as a guard on the unconscious. During sleep this guard is absent allowing the subconscious mind to run free and convey hidden desires. To Carl Jung, dreams are a way of communicating and acquainting ourselves with the unconscious. Dream images reveal something about us, our relationship with others, and situations in our waking life. Dreams act as guides along the path to enlightenment and self-discovery. The work of both Freud and Jung established dreams as valuable source of wisdom and healing. The usefulness of dreaming is only limited by our imagination and our desire to know and understand ourselves. Interpreting our dreams can herald events of vital significance in our lives. It can help us solve our problems, meet our guides, reveal long-hidden aspects of ourselves, travel in other dimensions, understand the universe around us, and reveal our next steps on our spiritual quest. What are your dreams trying to say to you? 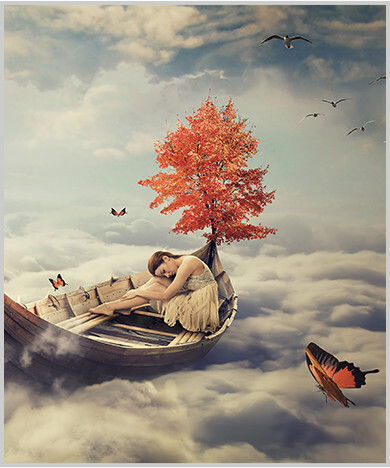 Understand the message behind your dreams with our dream interpretation email reading. In a dream reading, even the smallest of details can make all the difference. Providing your advisor every minute detail from your dream will give a stronger dream reading interpretation, as these tiny details will all pull together. What are the things that stand out in the dream? For example, if you saw a table, what shape is it? What colour? Is there anything on top of the table? Even if you think they are not important, you have to include them in your description of the dream. Our readers would much rather have too much information put in than too little. Book now and receive an insightful dream interpretation within 5 days. To assist your reader, please provide a detailed description of your dream. Include every tiny detail that you can remember, the more detailed the description, the more fruitful the interpretation will be. I dreamt that I was inside a big room with a group of people; some are complete strangers and the others are people I have met at different stages of my life. I can’t imagine these people being in the same place at the same time but in my dream, everything felt so normal. I saw an old neighbor I haven’t seen in years; my aunt who passed away years ago; a couple of childhood friends; four of my closest friends in high school and two of my current friends. They all looked the same as the last time I saw them. The room is in complete silence. Everybody seems to be occupied with their own thoughts and nobody’s interacting with each other or acknowledging the presence of everyone else including me. I kept looking at the wooden door in the opposite side of the room. I was walking towards the door but halfway through the room, the dream ended. I felt so confused when I woke up. "The interpretation of dreams is the royal road to a knowledge of the unconscious activities of the mind."